Opera fans and music lovers alike can appreciate the honey tones and moving dynamics of this German baritone’s voice as he sings “Song to the Evening Star” from Wagner’s Tannhauser. 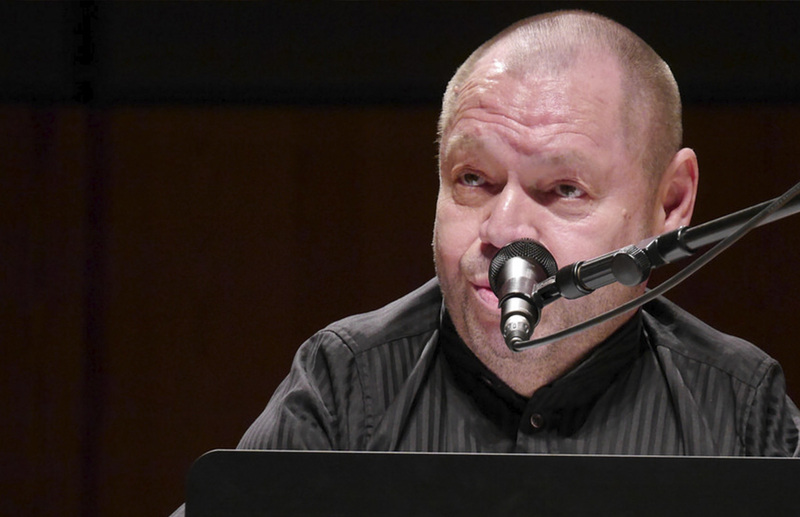 What you might not realize is that the baritone, Thomas Quasthoff, was born with many birth defects as a result of his mother taking thalidomide while she was pregnant with him. In 1960’s Germany thalidomide was commonly prescribed for morning sickness until it was discovered that the medication causes horrible birth defects such as the shortening of limbs, blindness, deafness, and many others. Because of his disabilities which prevented him from playing the piano, Quasthoff was not allowed to attend a music conservatory. However, this did not stop him from taking private music lessons. With the help of his music teacher, he launched a music career after winning the ARD International Music Competition in 1995. Since then, he has won three Grammy Awards for his recordings and is a professor at a music school in Berlin. Many people today might think that a person with such disabilities should have been aborted. And abortion providers certainly don’t describe babies facing disabilities like Quasthoff’s as “perfect,” “a triumph,” or “the very best of the best.” Instead, society tells expectant parents that a life with disabilities isn’t a life worth living and that abortion is the most compassionate choice for their child. No one wants a child to suffer, but what expectant parents often don’t understand is that God is ultimately in control. He has a plan for their child’s life. Children living with disabilities or birth defects should have the chance to discover what God has in store for their lives—whether they live a few minutes, hours, years, or decades. Having a disability, or having a child with a disability, can be very difficult. But the disability does not define a person, nor does it make his life less valuable. Quasthoff wasn’t able to follow his dream and attend a music conservatory to study music as his profession. Instead, he had to take a different route to pursue the beautiful talents God gave him. What does God have in store for children with disabilities? God might call a baby with Trisomy 18 to share her smile and joy with the world before she goes home to heaven or He might call two sisters with microcephaly to bring their family closer together. The truth is, we don’t know God’s plan. We can’t see into the future and predict how these children will impact the people around them. What we can do is see them with God’s eyes and give them the love they deserve as children of God. “Quality of life” has nothing to do with determining a person’s worth or ability or how his life will impact the lives of others. Not every child with severe birth defects will win a Grammy. But every child deserves the opportunity to bring hope and love to others just by being in this world. Each human being is a miracle and a gift. Sometimes we don’t understand what kind of a gift God has given us in a baby who will have a very difficult life, but that doesn’t mean he deserves the death penalty. How has a person with disabilities positively impacted you? Mary Kizior is a content developer for American Life League’s Culture of Life Studies Program, which stresses the culture of life as an integral part of every academic discipline. CLSP is dedicated to helping students become effective communicators of the pro-life message. This article has been reprinted with permission and can be found at cultureoflifestudies.com/blog/beauty-comes-from-within/.